to join as a GDT this week. 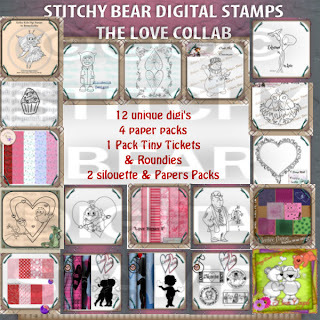 any 3 of my digi stamps. Added handmade with love charm at top of ribbon. copllaboration pack at SBS this month. recieve a whole pack of digi images and papers free!!!! so very beautiful, very special. Lovely card, great design and I love how the heart opens! this is so cool Claire! You completely amaze me!